Hitmaker Guru Randhawa is back with Ishare Tere featuring the melodious vocals of female artist Dhvani Bhanushali. Song Ishare Tere is written and composed by Guru Randhawa. 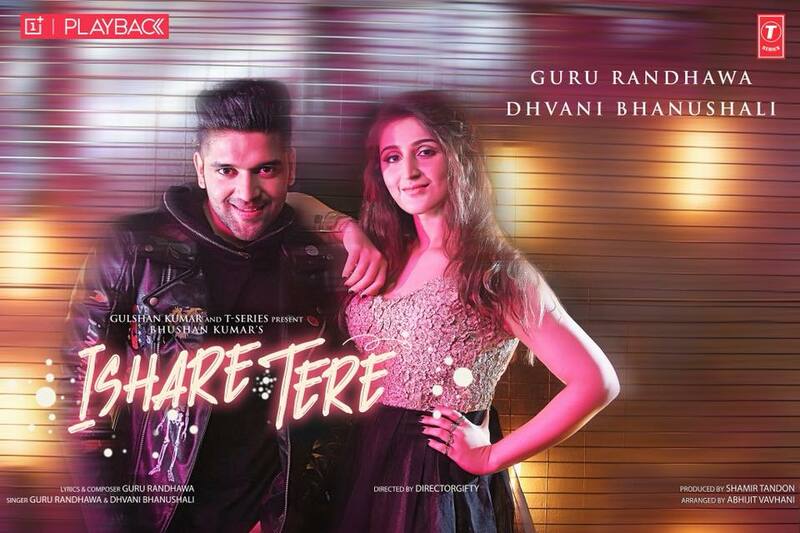 Hitmaker Guru Randhawa is back with Ishare Tere featuring the melodious vocals of female artist Dhvani Bhanushali. Dhvani Bhanushali is a rising singer, a youtube sensation famous for her cover songs. She is playback co-singer of Song Dilbar Dilbar (Satyamev Jayate) alongside Neha Kakkar. Song Ishare Tere is written and composed by Guru Randhawa and Music Video of the song is directed by one of the top notch video director of industry Director Gifty. Abhijit Vaghani has directed the music of the song. Guru Randhawa is one among those Punjabi Singers who've established themselves in Bollywood Music Industry with their versatile talent. No wonder any song he released today can be a part of a random bollywood movie next month or year. Earlier today Guru has dropped music video of Aaja Ni Aaja from Punjabi Movie Mar Gaye Oye Loko featuring Gippy Grewal. Choreography in music video of Ishare Tere is done by Feroz Khan aka Bollybrothers. Official video of Guru Randhawa single #IshareTere ft. the melodious Dhvani Bhanushali is out now!